The stock market has gotten a bit more finicky over the past week, and that begs the question of whether or not investors could be in for a rocky start to 2015. 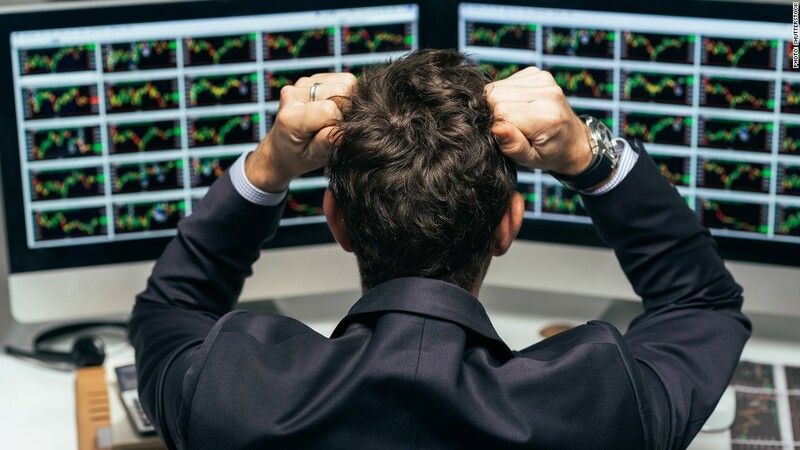 If so, investors should be putting together their plans for handling a market drop now, rather than risk reacting poorly when the tape is tumbling. With that in mind, here are three companies that investors may want to keep on their radar if markets collapse. Risk and volatility can be the enemy of investors when markets struggle, so parking some money in companies with a history of steady-as-she-goes performance can make a lot of sense. However, no investor wants to get mired in an investment that goes nowhere when markets recover, so finding a stock that offers a blend of stability and growth opportunity is ideal. Those criteria suggest that Johnson & Johnson (JNJ) could make a lot of sense to investors. J&J is one of the globe's top drugmakers. It also markets a variety of consumer healthcare products, and it's a top seller of medical instruments and devices, too. During 2008, when the S&P 500 lost more than a third of its value, J&J shares put up a far less worrisome 7.8% decline. When markets recovered in 2009, J&J still gained a respectable 27%. That could suggest that J&J offers a bit of a Goldilocks type of investment, one that isn't too volatile, but that can still reward investors when markets get better. Of course, it doesn't hurt that J&J pays a solid dividend yield of 2.6% either. Although risky stocks can fall sharply during periods of distress, not all risk is measured equally. For example, high-tech growth stocks whose earnings can collapse if IT budgets fall should be viewed through a different lens than biotech stocks working on next generation treatments for disease. Many of these biotech stocks, like Celgene Corp (CELGZ), did quite well during the Great Recession. Demand for life-extending therapies doesn't wane during market crunches, and as a result, Celgene's shares gained nearly 20% in 2008 and climbed 25% between March (when the S&P 500 made its recession low) and the end of 2009. Whether or not Celgene can put up a similarly impressive performance again is uncertain, but the company does offer a number of catalysts that could suggest it should be on investors' wish lists. For example, its multibillion dollar top-selling second-line treatment for multiple myeloma, Revlimid, could win FDA approval as a first-line treatment in February. Similar to the other two stocks, Edwards Lifesciences Corp (EW) posted market-defying returns during the recession. Edwards makes heart valves that are used to treat patients with life-threatening chronic heart disease. Demand for Edwards' products, which are used to replace diseased or defective heart valves, isn't discretionary and as a result, Edwards consistent sales and profit growth helped shares climb 88% between December 2007 and December 2009. Related: Have You Heard the One About the $72 Million High School Stock Picker? Edwards' impressive performance the last time around would seem to suggest it deserves investors' attention the next time markets slip, but investors should recognize that Edwards is far from an unknown story. The company has been one of healthcare's top performers this year, returning nearly 100% thanks to rising demand for its transcatheter heart valves, which can be inserted into a patient's existing defective valve through a minimally invasive procedure. Cooler heads prevailing: Investors' biggest mistakes are typically made before markets fall. By increasing risk to second and third-tier names and reducing exposure to lower-returning but steady-performing companies, investors create an environment ripe for reacting, rather than pro-acting, when markets fall. Investors may want to use end of year rebalancing as an excuse to evaluate every stock in their portfolio to make sure that each is truly deserving of their money. Doing that could make it easier to view a sell-off as an opportunity to invest in some compelling companies, such as these three. Todd Campbell writes for The Motley Fool.